InternFeel: Hello Rishav, pleasure to meet you. Please tell us about yourself. What makes you different? challenges to learn new things. My each day with open source contribution gives me something new to learn. That’s the best partI love about open source. I never been much into sports or cultural stuff. I think this part in me is missing. Tough question…but still I believe my dedication, interest and motivation towards the work I love to do makes me different. preparation for this at all. What I believe is Contribute to open source with full interest and dedication. When you will fall into love with open source, believe me GSOC won’t be big deal. Rishav: Application process is very simple. Anyone who is enrolled with university can apply for this. GSOC-2015 has been announced and details can be seen on its website. You have to submit your proposal on the project of an organisation you choose. Project can be from list of projects released by that organisation or your own ideas. IF: Let’s talk about how competitive is the selection process. What qualities of yours, you believe helped you in having an edge over theselection process? What key things you feel were looked for by the selectors? Rishav: As google summer of code completely related to open source projects… I believe full dedication towards open source projects help in it. Apart from these Key things are experience in open source. –> As selection process is really competitive, your experience in that project (which you choose) matters a lot, that give you plus point over other who does not have. –>Also your project idea should be great, feasible and its implementation should make impact on that software/project. –> Way of writing your project proposal matter a lot. The way you explained your proposal and planning with deadlines have good weightage. Rishav: Result came on 21st April. Celebration was really great. I got into GSOC in my 2nd year. Two GSOCer from NIT Trichy got into GSOC-2014. Me (2 nd year) and another guy from fourth year got into this. That was really great moment for me. Got wishes from many ones and others with whom I never met. My friends did GPL of me and soaked me in water at 1am that night. Facebook flooded with friend request and asking for guidance how to crack GSOC. I love to help others and give guidance as much i can. Rishav: I started reading the important docs from project website, went through codes and frameworks which I am going to use in my project. I regularly meet with my mentor on IRC. Basically it was community bonding period and planning how to proceed further. Designing the ux-visual and ux-functional proposal (vary as per project, not necessary for all). IF: So Rishav, could you please highlight us with what work/ project you carried out during the internship period? It’s application in near future and your work in it? IF: What was the best thing you liked while working on this? Rishav: Best thing I liked was the feature build as code written by mine will be used by millions of people all over world. That’s the best feeling that contribution to open source will give you. Also I learnt new things while working on this project and it’s all due to my awesome mentor ‘Gabriele Svelto’. Instead of telling the answer he gave only hint and ask me to figure out self which helped me in learning so many new concepts. IF: What problems you faced, while carrying out the internship? elements which you felt, if wasn’t there could have made this internship super awesome? Rishav: There were no cons of the internships but yeah if I knew all those thing what I learnt during internships then I can learnt some more stuffs apart from these 🙂 . I felt GSOC is all about learning and gave a whole new level experience. Rishav: My mentor “Gabriele Svelto” was super awesome what I say about him will be less. He is an expert in all areas of computing. If I feel any difficulty whether in building system, resolving error and also when I felt low (whenever I stuck with some issue) he was there to help and fix the issue quickly. Its due to him only I got experience from coding to ux-specs & ux-flow designing and how stuff / software development works in open source culture. I felt lucky to Work with him and gain a lot experiences and knowledge. Rishav: Yeah I want to say few things to people who are interested in intern with GSOC or other. 2. Love what you do and whatever you do in any field, do with complete dedication and interest. 3. For coder’s who never contributed to open source, Try once I’m damn sure u will fall in love with it. 4. For GSOC seekers… Contribute to open source by full dedication (instead of preparing for it before one or two months of application period) believe me GSOC won’t be thing for you then. To which all people you would, like to thank in context of this internship? Rishav: In context to this internship, first of all I would like to thank awesome developers: Gabriele Svelto (Mentor), Julien Wajesbergh, Omega Fang, Jenny Lee, Oleg azaspykin. Apart from these I would like to thank some People of Mozilla India Community introduced me to this great organisation and always supported me in need: Jai Pradesh, Sujith Reddy, Soumya Deb, Vineel, Galaxy. IF: How much difference this period of 2 months made in your intellectual capabilities and mind-set. In broad terms what are your gains from this? 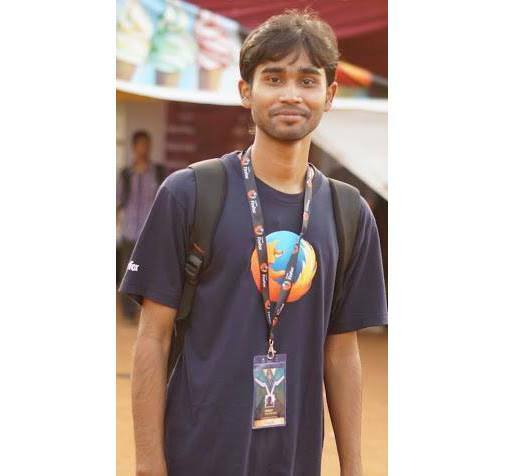 Rishav: My future plan is to get involve in open source as much as possible and give my best to it and continue my journey with Open source. One who did GSOC, there will be great advantage in future career. IF: So Rishav, we are at the end of the interview. From the entire team of InternFeel, we thank you for sharing your experiences with us, for everyone and we wish you best of luck for all your future endeavors.